It's blueberry season, y'all. Time to get your hands on some of those delicious berries! I picked these berries up in Michigan at a Meijer store, and they were really good. I'm hoping to get to a farmers' market soon to pick up some local blueberries. I'm hoping I can still get strawberries, too. It's been a crazy month and I'm ready to get settled in and do some baking. I did manage to throw together this coffee cake, and wow was it good. Incredibly easy, too! I think what made it so delicious was I used buttermilk and a special Southern flour called, White Lily. This was my first time baking with it and I can already tell a difference over regular flour. The cake turned out so light and fluffy. I'll have to research more on why White Lily makes baked goods lighter. I think it might have to do with the type of wheat they use. Have you used White Lily before? 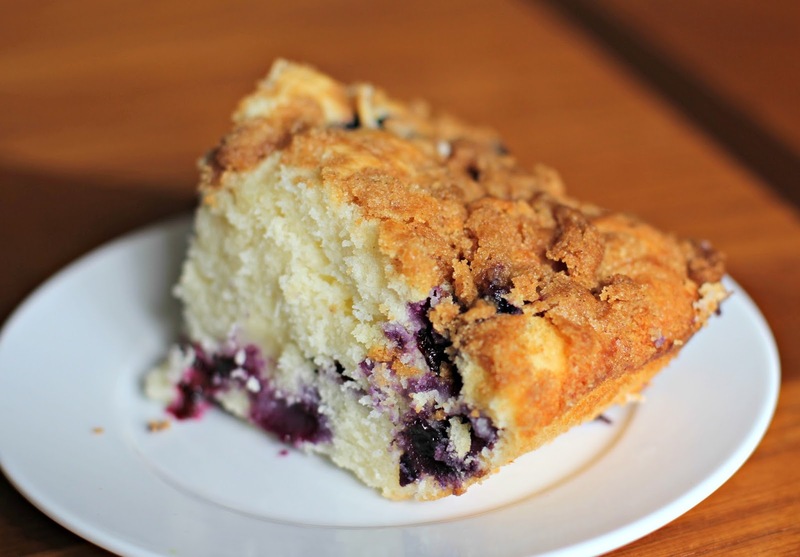 The blueberry cake is topped with a buttery-brown sugar crumb topping. 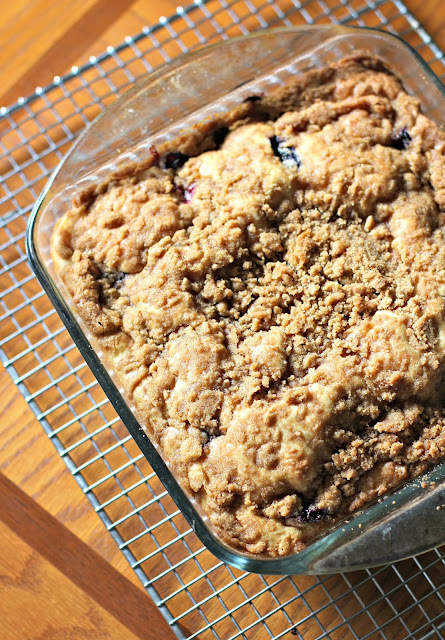 This could be served as a coffee cake for breakfast, or a dessert. If you serve it as a dessert, I recommend a scoop of vanilla ice cream. Heat oven to 350 degrees F. Spray an 8x8-inch glass baking dish with cooking spray. In a medium bowl, sift together 2 cups flour, baking powder and salt. In a large bowl, using a mixer on medium speed, beat together 6 tablespoons butter, sugar and vanilla until creamy. Beat in eggs until well combined. Reduce mixer speed to low and beat in flour mixture, alternating with buttermilk, until just combined. Gently fold in blueberries. Spread batter into the bottom of prepared pan. To make the topping, beat together remaining 2 tablespoons butter, 1/3 cup flour, brown sugar and cinnamon until well combined and crumbly. Sprinkle crumble on top of cake batter. Bake 40-45 minutes or until well risen and golden brown. A toothpick inserted into cake should come out with moist crumbs attached. 13 comments on "Blueberry Buttermilk Coffee Cake"
I don't know if they're still picking, but Thies farm in Maryland Heights had a delicious crop of pick your own strawberries last week! Never used White Lily but I've heard of it. Funny because at this moment I have a blueberry cake in the oven!! Blueberry season! Just bought a bunch at Aldi's. I remember you shop there and their prices cannot be beat!!!! I'm still waiting for strawberry season to start in my neck of the woods. Well, it may have started, but I haven't been to the farmers' markets yet to see. They haven't started stocking local strawberries in the supermarkets yet. 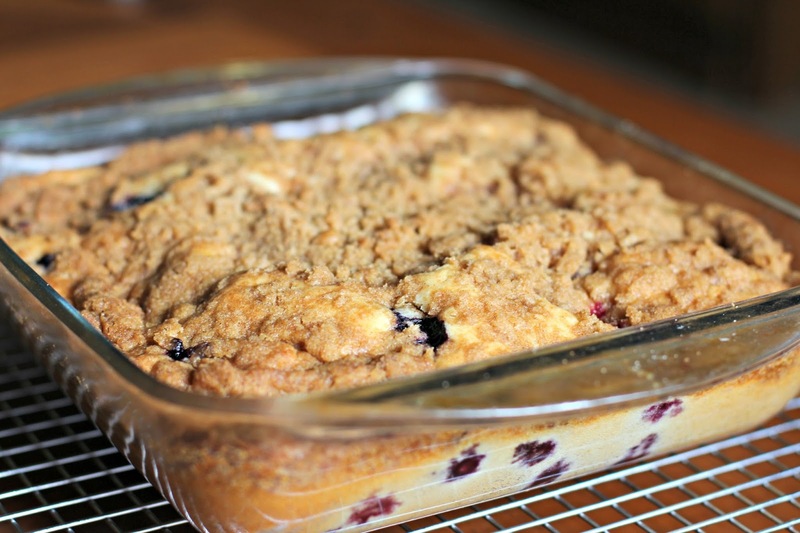 I love berry coffee cakes! I love berries! I love cake! This looks so good. I have heard of White Lily flour, but I don't know what makes it distinctive. Maybe it's lower gluten like cake flour? I wonder if I could make this cake with cake flour. Rachel, you have to try it! The flour makes baked goods so fluffy. I haven't checked into your blog seems like forever. I am glad to see you are still posting delicious recipes. This blueberry cake looks delicious. I hope you are well. Do you still have your handsome cat? 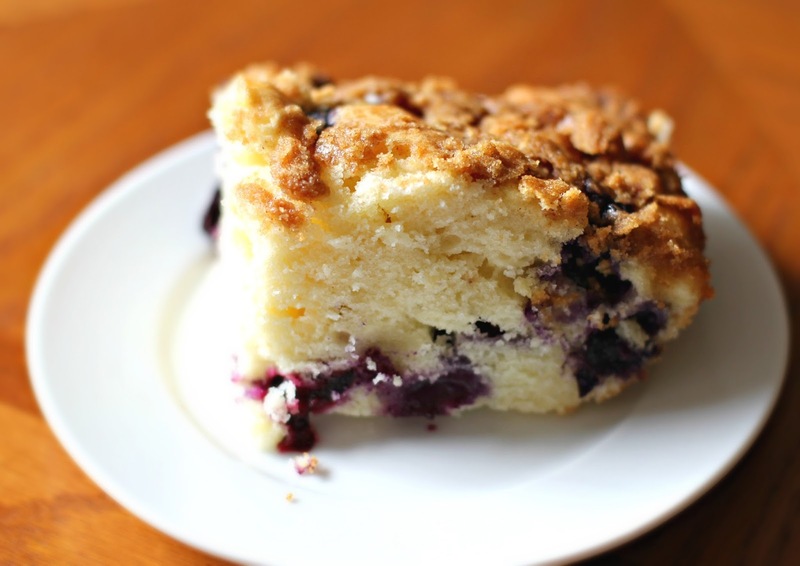 I love blueberries and this coffee cake looks wonderful. I always appreciate that the recipes you post are easy to make, for us culinary challenged folks. Meijer has raspberries on sale this week (77 cents for a 6 oz container) in case you are going to be near any this week (6/5 thru 6/11). Haha I think I'm just lazy! I wish I lived near a Meijer. We have Harris Teeter here and they're pretty nice. 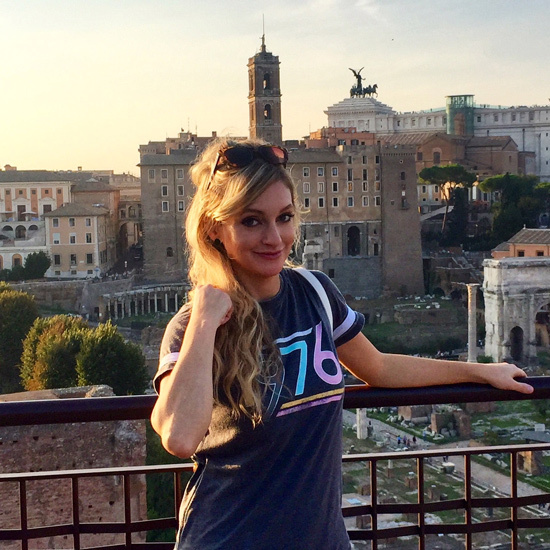 I'm glad you liked it, Courtney!